Stop the Glorification of Workouts That Almost Kill People! Let’s face it. Why do most people come to your indoor cycling classes? Usually it’s because of the fact that the time of class fits their schedule, they love your music, and of course, you make it fun. But how effective are your classes? That got me thinking. I realized, it’s not that my classes are too intense, it’s the fact that they are effective. Goal based. Smart. And yes, I would like to think that is what makes them fun. 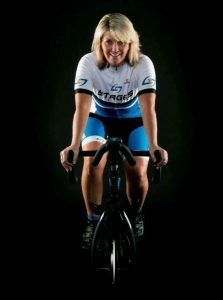 As a master educator for Stages Indoor Cycling, I am fortunate enough to be able to utilize Stages Flight in my classes. In a nutshell, Stages Flight allows us to quickly assess a participant’s FTP, or functional threshold power, in as little as 3 minutes. This personalizes their wattage for that class so that they can hit the desired targets in the profile. Why not just use RPE (rate of perceived exertion)? Well, can we agree that some days everything FEELS easy? Other days, everything seems hard (we call those Mondays, yes?). Now, RPE is a fine tool, and yes, I still use it. But keep in mind, it is subjective and only as good as you describe it. We have the ability to take the guesswork out of, well, work. So, let’s utilize those tools in our toolbox. When I set goal-based targets in my profiles, participants are encouraged to actually hit those targets, and they are able to see if they are effectively doing so. Not only that, they begin to understand that although they may be able to hit what we call a Z7 or neuromuscular power, they can’t maintain that intensity for very long due to physiological limitations. Our understanding of exercise science backs up the reasons why this very high effort cannot be sustained. The proof is in the power. Period. Exercise becomes effective when we start utilizing the optimal dose of work-to-recovery intervals. Yes, recovery—it’s where the magic happens. In other words, stop making classes harder just for the sake of being hard. We need to stop the glorification of workouts that almost kill people. Good coaches know to rely on metrics such as wattage (think: work) and heart rate (think: response to work) to determine if goals are being met. If an athlete can hit 10 repeats that day at the desired goal, that is the workout. Not 11. The workout is finished when goals are no longer being met, not because the clock dictates it or because the instructor wants to be known as the hardest in the land. Implementing goal-based workouts does not have to be complicated. Start by choosing a metric. As an example, let’s say distance. Determine a time and intensity, as in 2, 3, or 5 minutes at X intensity. Go hard for that number of minutes. How far did you go according to the console? There is your baseline. Notice I did not “dictate” a given distance—it’s completely relative to the individual. Another example is to have them go for 2, 3, or 4 minutes as hard as they can and see what their average power is for that duration. Again, you aren’t dictating it, you are asking them to set their own benchmark. Give them a couple minutes of recovery, and boom! Lather, rinse, repeat. Try and match or beat that distance or that average power with a desired number of intervals. Include variety such as different cadence ranges. Add some fun, zippy music tracks and you have a class that is goal-based, effective, and pretty darn fun too (for those who use the adjective “fun” for hard work)! Almost any indoor cycling instructor can get you hot and sweaty. Think about becoming a better COACH. Let’s work on making both our classes and our participants better. Note: for another effective goal-based interval profile that is most definitely hard but doable, check out ICA’s Ultimate HIIT Power-based profile. Pam Benchley has been a Stages master educator since 2011, as well as a national and international presenter. She is also a recreational triathlete, having recently completed her second IronMan in 2017. Pam also serves as a master trainer for both BOSU® and Hedstrom Fitness. She believes fitness should be FUNctional and effective no matter the activity, and that the cure for anything is saltwater: tears, sweat, or the sea. This might be going slightly off topic but I felt compelled to post. In the Fitness section of the NY Times they have an ‘Ask the Expert’, this one happens to be one of the founding instructors of Soul Cycle, Stacey Griffith. This a question that a NYTimes reader asked – I was gob-smacked at the response. Q – How do you get the best cycle fit? Is there a way to know that my seat and handlebars are in the optimal ergonomic position to avoid lower back and knee pain? A – YouTube tutorials can help you adjust your fit, and bike manufacturers often post instructions online. Nothing wrong with the answer they gave, in my opinion, because no mis-information was further given. I hope that makes sense. Thanks Pam. You make some very good points. It’s not about party tricks. Smart fitness is the way to go. Coaching is it. Preach it, Pam!! I have been using the 5 minute benchmark test in many of my classes over the past several months and it has helped tremendously. Most put forth the effort in that 5 minutes to get their average wattage. There are a few who skate through it and miss what it was intended for. Just this morning I was teaching to a group of 25 riders and while we were doing the benchmark test, one rider was riding out of the saddle doing his own thing. I could tell he wasn’t putting forth the effort of the class. He wasn’t getting the “power concept”. I explain what we are doing and why we are doing it at the beginning of class, but beginning with the next class I will be using your statement, “There is proof in the Power. Period” I love that!! Thanks so much for your article. This is fantastic. Thank you! Good article. I have been in classes with no specific purpose other than to make you sweat. You nailed it. Purpose, reason, explain what we are doing and why. What are our objectives. Appreciate your article.